These days more often associated with the Tea Party and the libertarian end of the right-wing, this flag is often seen being waved by folks like The American Outlaws as well- but the idea of the rattlesnake being one of our national symbols (which is news to me, as well, so hey- you learn something new everyday) dates all the way back to the 1750s where Ben Franklin had the satirical notion of sending rattlesnakes to England, since the policy of Great Britain had been to send the convicted criminals to the Americas. The first political cartoon in an American newspaper hit shortly thereafter- a snake cut into eight sections with the caption JOIN OR DIE appeared. The fact that the timber rattlesnake was unique to the area of the original thirteen colonies made the embrace of the rattlesnake as a uniquely American symbol, while somewhat surprising, not all that unexpected- the Army still uses the symbol today- so, hey- it's stuck around. The origins of the Gadsden Flag center around the foundation of the US Navy, which was founded in 1775 and spent it's early years intercepting British ships to supply the Continental Army- one ship captured had about 30k worth of shoes on it and the Marines and the navy had to go and get it- the first Marines enlisted in Philadelphia carried drums painted yellow depicting a coiled rattlesnake with 13 rattles and the motto- you guessed it- 'Don't Tread On Me.' By December of 1775, that symbolism had been turned into the flag you see above and presented to the newly appointed commander-in-chief of the navy as a personal standard for his flagship. So that's the Gadseden flag. Pretty cool, huh? Coolest thing about this flag? A remnant of it still exists and is owned by the Bennington Museum in Vermont. (If I ever find myself in Vermont, anytime soon- totally going to look this up.) 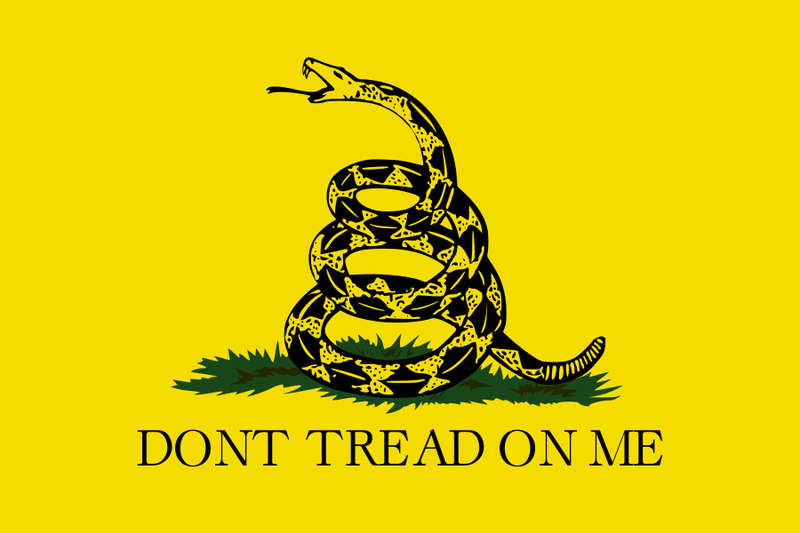 If you think the Gadsden Flag has a history, well, let's talk about this flag, shall we? Regimental flag of the Green Mountain Boys and headed by Ethan Allen and his extended family, the Green Mountain Boys were instrumental in resisting New York's attempt to control the territory between New York and New Hampshire. They saw action during the Revolution- capturing Fort Ticonderoga and invading Canada. This is wild, though, because despite seeing action during the Revolution, they weren't admitted to the Union until 1791 and operated as an independent Republic between 1777 and 1791. The flag is a green field with a blue canton- but this is the coolest thing: the 13 stars are arranged in a natural pattern. It's actually kind of neat. 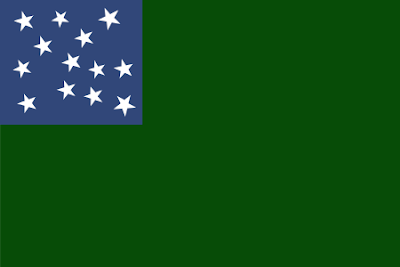 The flag survives as the regimental flag of the Vermont National Guard- and it's accompanies them on assignments and into battle. Switching gears a little bit, we're digging back into history to take a look at the old flag of Newfoundland. July 1st, 2016 marked the 100th Year Anniversary of the Battle of the Somme, which in terms of terrible, awful, no good, very bad days, was the absolute worst for the British military. After one day- ONE DAY of the battle, the British took 57,470 casualties and 19,240 men were killed. IN ONE DAY. How does this involve Newfoundland? Well- funny story- before it became part of Canada, Newfoundland was actually a separate Dominion. And the 1st Newfoundland Regiment fought in the first day of the Somme and 90% of the entire regiment was wiped out. 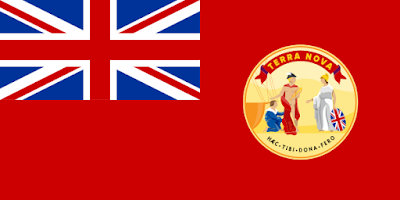 It went on to serve with distinction in more battles, but the Dominion's war debt due to the regiment and the cost of maintaining a trans-island railway eventually lead to unsustainable government after the war- and by 1949, Newfoundland voted to join Canada. So, there's your dose of history for the weekend... remember, until next time, keep your flags flying- FREAK or otherwise!